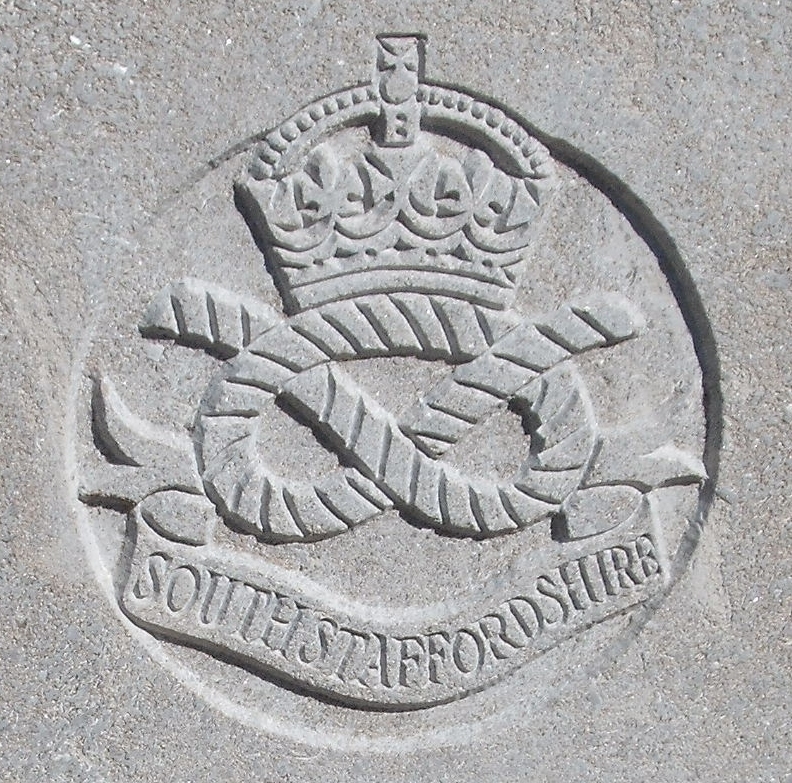 4th Bn, The South Staffordshire Regiment, 7th Brigade, 25th Division, B.E.F. Next of Kin: Son of W Timmins of 2 Eatonville, Pound Bank, and the husband of Florrie Powell (nee Timmins) of 2 Green Hills Cottage, Golf Common, Malvern. George Timmins was born in Halesown. He joined the army at Smethwick, and probably initially enlisted in the local regiment, the South Staffs despite then going on to serve with the West Yorks. He was reported by the Malvern News to be missing during the massive German Offensive on 18th May 1918. As was the case with many men lost during the British retreat, news of the missing was uncertain. A large number of men turned out to have been taken prisoner, but for the relatives of those who had been killed information was scarce and took ages to come through. The British Red Cross was the main channel for this information, who coordinated information from wounded soldiers and their German counterparts the Deutscher Rote Kreuz via Switzerland. “In reply to your inquiry we are very sorry to tell you that we have received the following report: ‘Pte W Hooley, Lincolns now at Crossland Moor Auxiliary Hospital, Huddersfield says: ‘I was formerly in the South Staffs Regiment, I saw Timmins lying in No Man’s Land shot through the head. We were on the Marne. We were on the retreat there and he would probably be buried by the Germans. He had the scar of an old bullet wound in the nose: clean shaven. Mrs Timmins was not officially notified of the death of her husband until January 1919 – nine months after the event.